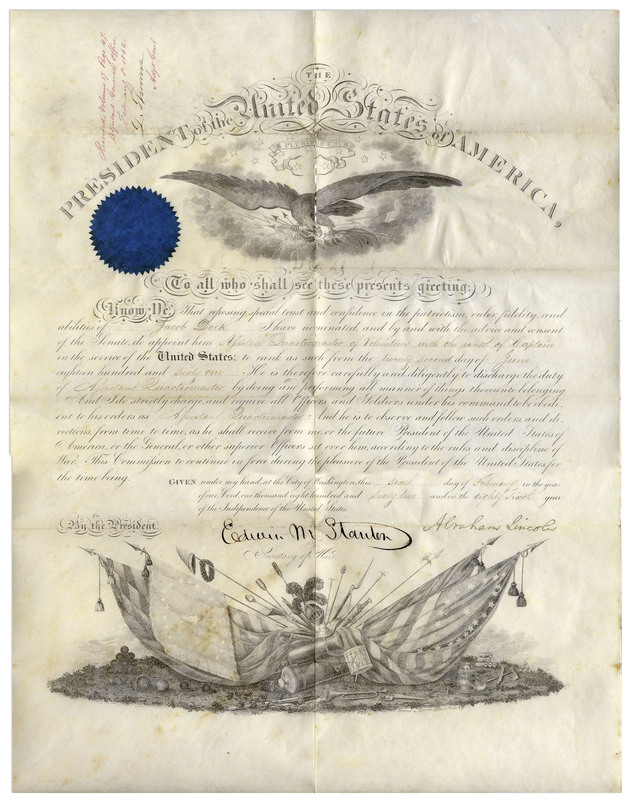 Abraham Lincoln military appointment signed during the Civil War, dated 6 February 1862, appointing Jacob Dock to Assistant Quartermaster with the rank of Captain. 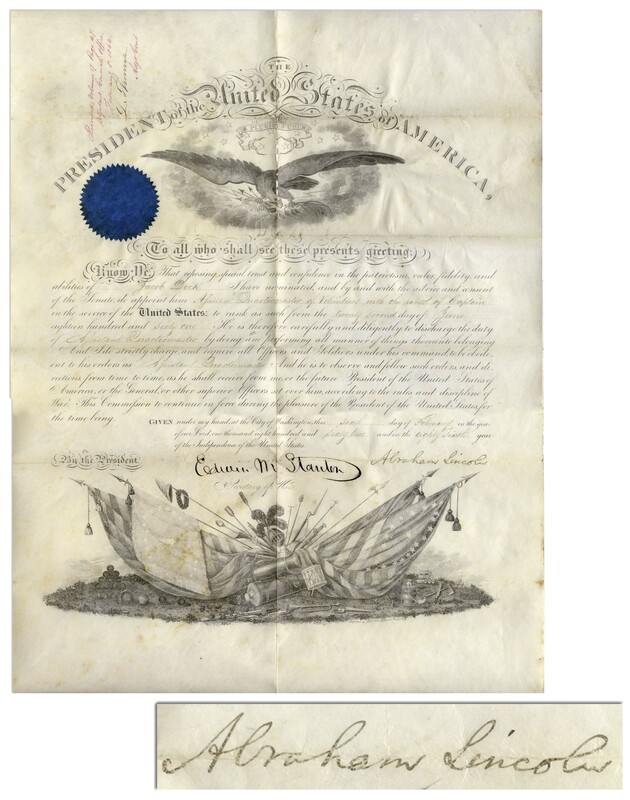 Vellum document features intact blue paper seal, and a large military vignette at bottom, countersigned by Secretary of War Edwin Stanton. Patriotic eagle vignette at top appears under the heading ''The President of the United States of America''. Measures 14.75'' x 19.5''. Small holes along top vertical fold, fold through Lincoln's signature, and discreet yellowing at bottom. Overall in very good condition.